WASHINGTON - Sen. Elizabeth Warren apologized Wednesday for "not having been more sensitive about tribal citizenship" after The Washington Post published a 1986 Texas bar registration card where she listed her race as "American Indian." 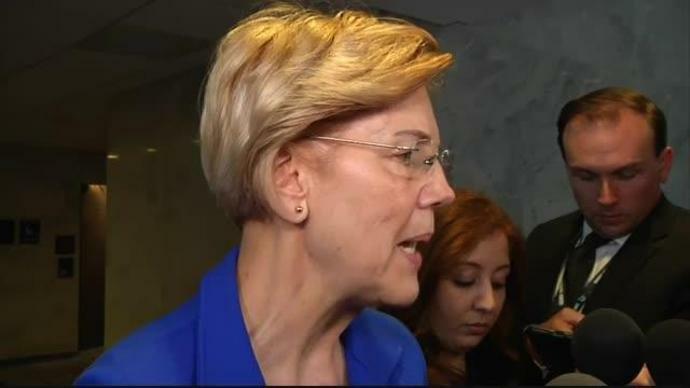 It was at least the third time in a week that Warren - who is part of the large Democratic field running to unseat President Donald Trump in 2020 - has apologized for her past self-identification. "I can't go back," Warren told the Post in response to the story about her Texas bar registration. "But I am sorry for furthering confusion on tribal sovereignty and tribal citizenship and harm that resulted." The former law school professor also apologized to the Cherokee Nation in a phone call with tribal chief Bill John Baker last week for her public release of a DNA test, which an expert said was "strong evidence" that she had Native American ancestry. The test showed the Native American ancestor dated back at least six generations. After Warren unveiled the results of the test in October via an online video, Cherokee Nation Cherokee Nation Secretary of State Chuck Hoskin Jr. said in a statement that using "a DNA test to lay claim to any connection to the Cherokee Nation or any tribal nation, even vaguely, is inappropriate and wrong."